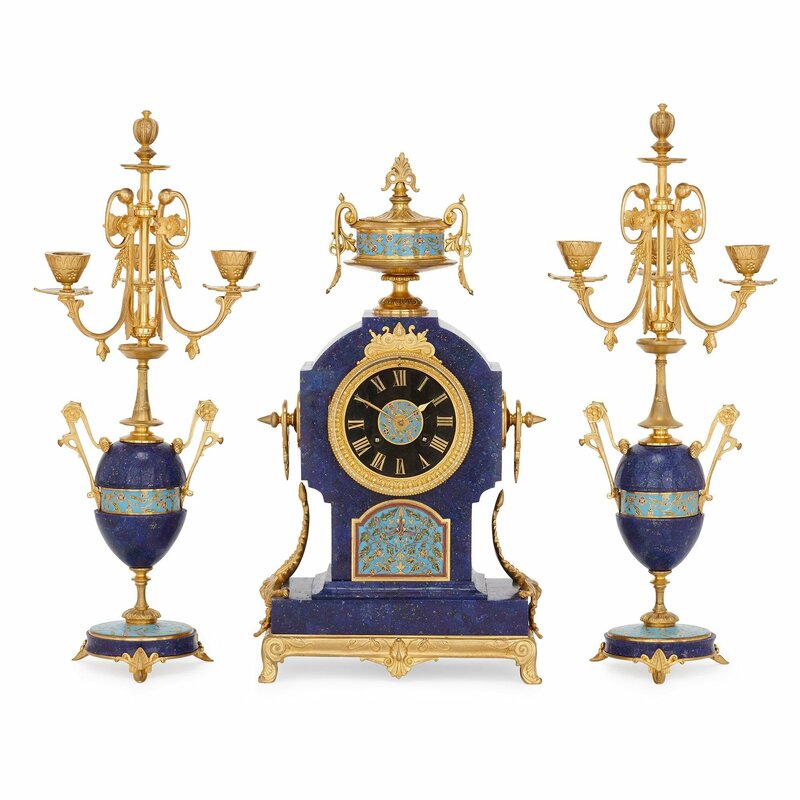 The three piece clock set comprises a central clock and a pair of flanking candelabra. 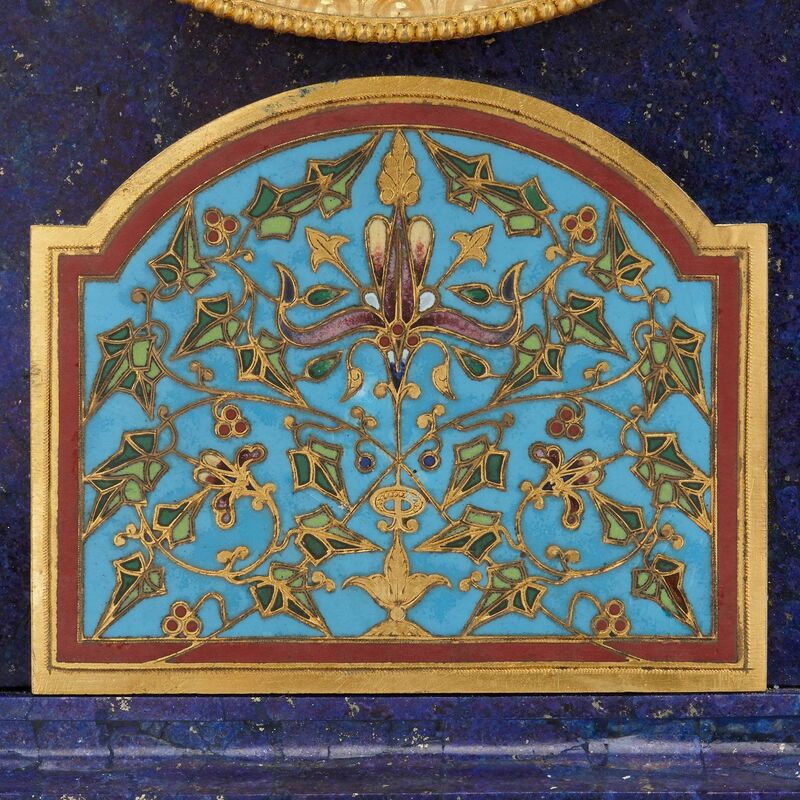 The central clock is set on a rectangular base of lapis lazuli with an ormolu base and feet and upcurled ormolu mounts of stylized acanthus leaf on either side. 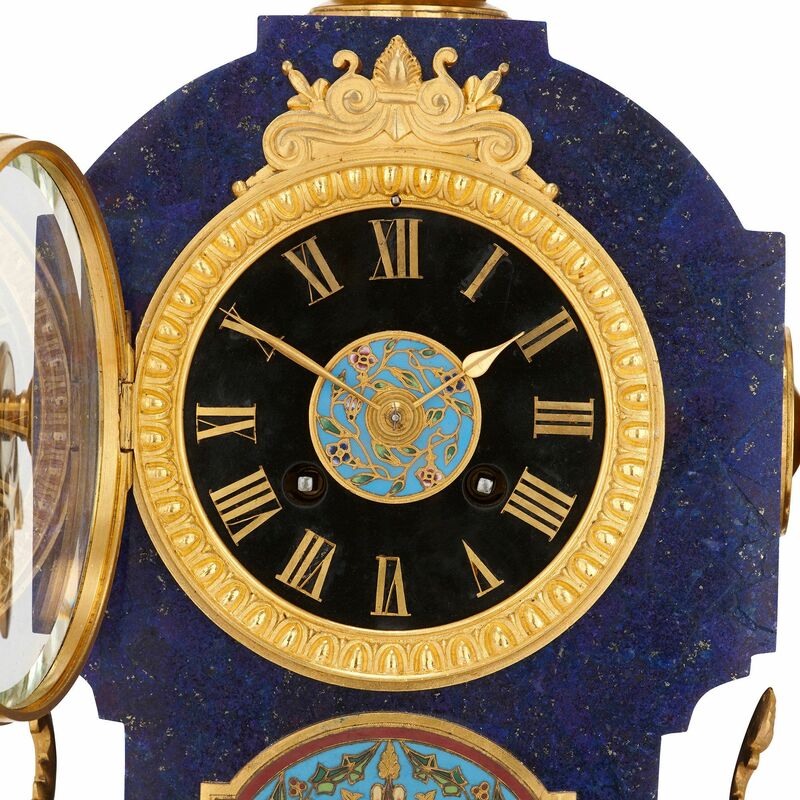 There is a champleve enamel mount between the base and the circular clock dial, which is set upon an upright lapis lazuli case and features a black dial with ormolu roman numerals and border, as well as a central champleve enamel mount. 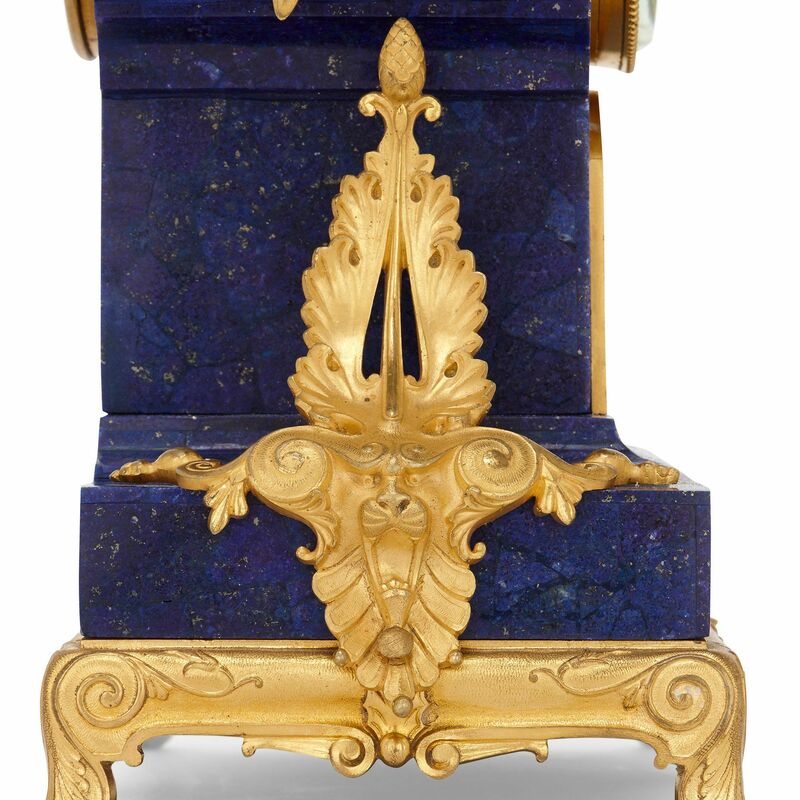 The clock is surmounted by a small, ormolu and champleve enamel urn. 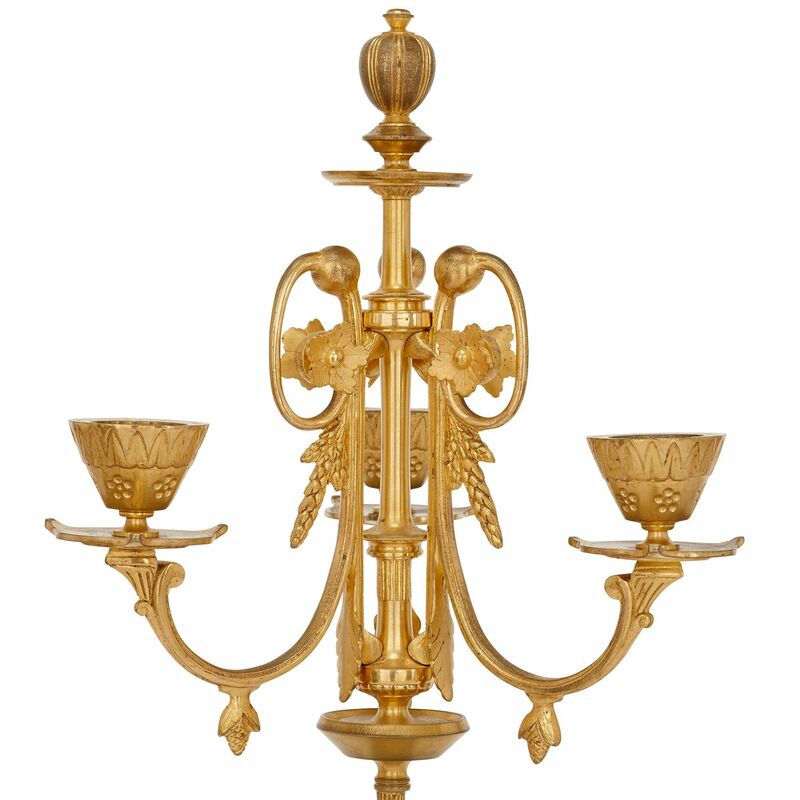 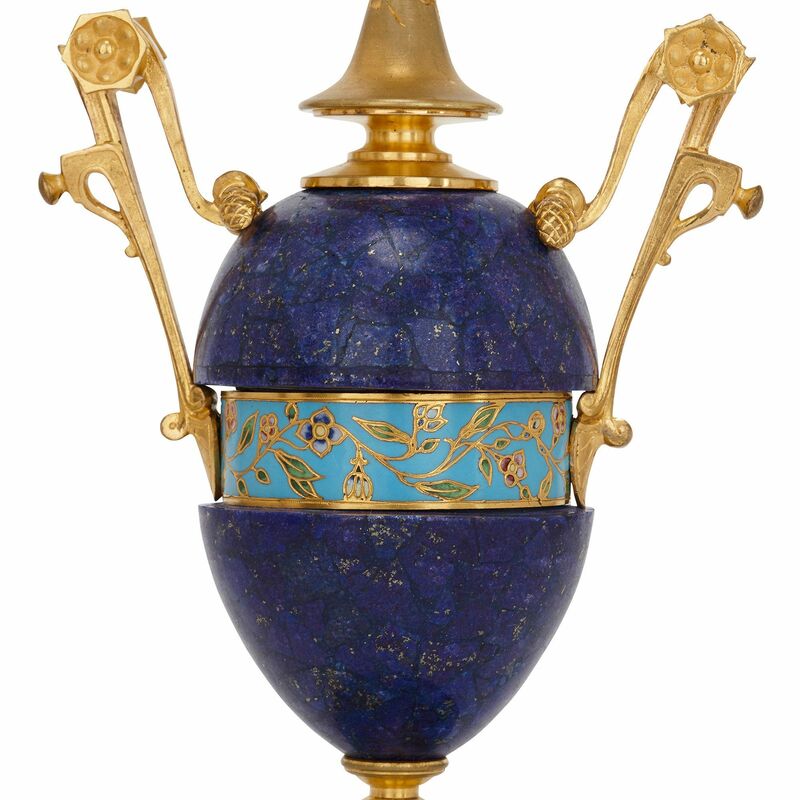 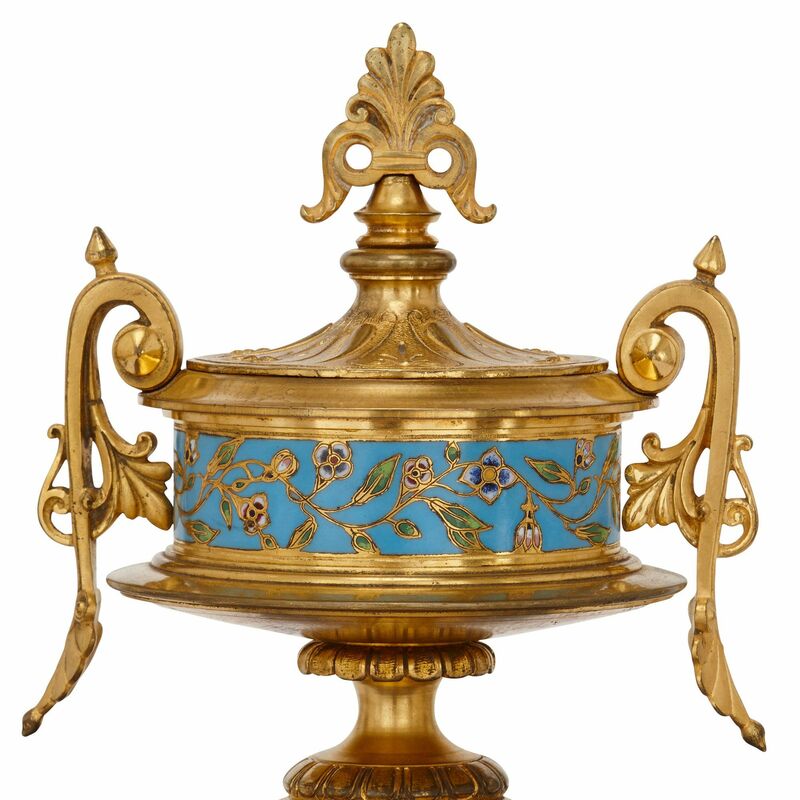 The flanking candelabra are similarly decorated, featuring circular bases of lapis lazuli and ormolu mounted champleve enamel, leading to ovoid form central bodies with twin ormolu handles and a central panel of mounted champleve enamel, all surmounted by ornate, ormolu branches with three lights and drip pans.